Ballet- just hearing that world summons the image of graceful dancers performing Classics like Swan Lake and The Nutcracker.As the leading provider of ballet dance classes for kids in Toronto and Vaughan, Performing Dance Arts realizes that ballet forms an essential part of all types of dance. At our dance studio,your child will discover proper posture and discipline while being thought the basic and fundamentals of dance through classical ballet.It may require many hours to develop the necessary skills, but our ballet dance classes in Etobicoke and Vaughan are superior.Our highly-skilled instructor will take the time to teach your children skill needed to help them grow and dance to the best of their abilities.Our processional ballet dance studio is full equipped for students of all skill levels. Regardless of your child’s age or ability, we take pride in being able to offer different dance classes for kids and other types of programs to help facilitate their journey through ballet. Performing Dance Arts has invested in continually offering a wide range of programming for your child to gain exposure, aptitude, and experience. Dance-In-Your-Pants: If your child is two to three years old, they may be ready for toddler ballet. They have the opportunity to join our Dance-In-Your-Pants program which provides toddlers preparation for ballet classes though socializing with other children and taking instruction from an adult teacher. We understand how competition can hone a dancer by intensifying their preparation and giving them the experience of working under pressure. There is also nothing as satisfying as standing tall, knowing you gave your best. That’s why we offer different competitive dance programs for your child. Part-Time: Train in a variety of styles, including ballet, for five hours divided into mandatory classes over two days a week. There are also three mandatory competitions that occur in April and May. Our ballet intensive is a three-day course that runs each summer. Dancers who are ages five and older will be led through a challenging program that combines the Vaganova curriculum, various conditioning exercises, and yoga. Our head ballet instructor is the internationally acclaimed performer and teacher Naira Ramazanova. She first joined the staff at Performing Dance Arts in 2014, and has helped develop many young dancers since then through her vast acumen and competition experience. Included in the many prizes she won is the Vaganova Prix and the “Best Ballerina” prize awarded at the first international Balanchine-Chabukiani Ballet Festival in 2001. She joined the Azeri National Opera and Ballet Company in 1995 after graduating from the National Ballet School in her native city of Baku, Azerbaijan, and is currently on the artistic staff of Canada’s National Ballet School. Your child may also have the opportunity to work with our other highly-trained, experienced, and personable ballet instructors. If you are curious, or even mildly interested in what ballet can offer your child, it may be useful to learn more information. The following are answers to frequently asked questions. Is Ballet Good for My Child? How Old Should My Child Be for Ballet? There is no ideal age that a child needs to be in order to be enrolled into ballet classes. However, pre-dance training can begin anywhere around the two years old, with pre-ballet an option between the ages of four to eight. A child can start formal ballet training anywhere between eight and twelve years old. How Do I Choose the Right Ballet Dance Class for My Child? Which Level of Ballet Class in Toronto Is Right for My Child? Talk to a qualified instructor in order to determine the best fit for your child. Remember that you want to introduce challenges gradually in order to help your child grow without overwhelming them. Read More: Which Level of Ballet Class in Toronto Is Right for My Child? How Do I Prepare My Kids for Their First Ballet Class? Where Can I Buy Ballet Shoes and Attire for My Child? You can purchase everything you need from a leading dancewear store. We also sell shoes and attire at Performing Dance Arts in our studio store. Does My Child Have Performance Opportunities in Ballet? Your child will have the chance to perform in our Year-End Show, a spectacular evening of entertainment that generates great interest and excitement each time that it is held. There are also other opportunities afforded as your child garners more experience. 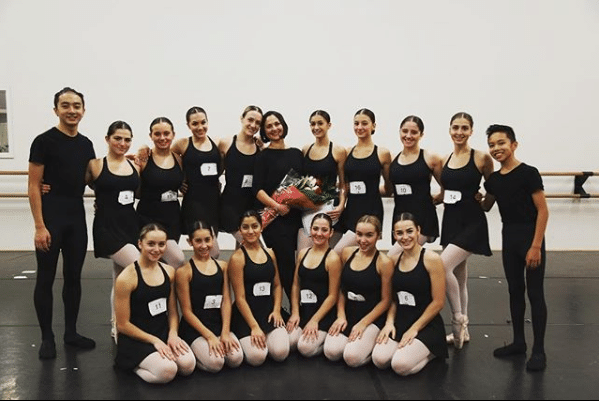 The highest echelon of performance, within a professional dance company, is afforded to the elite who have hardened their skills through years of dedication and discipline. Simply fill out an online registration form from our web site. If you have any questions, feel free to contact us at one of our two great dance studios.